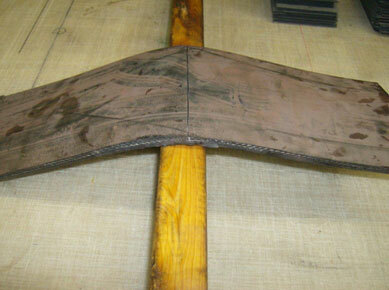 Position the specified piece of belting so that the plies are closest to the top, or closest to your knife when cutting. Using a sharp and precise knife, make your first cut completely across the belting piece with even pressure. 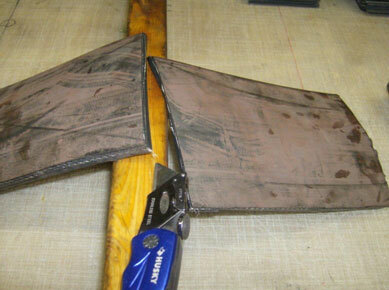 After making the first cut, bend the material open along the cut. **In order to make this process easier, it is helpful to place a board that meets your size specifications under the first cut in order to put opposing pressure upon it, which helps to open the cut. Now that the belting is bent slightly open along the cut area, continue to cut into the open slit until you cut completely through the belting.